Abstract: Through most of the 80â€™s and 90â€™s the primary focus of business software was on the codification of business transactions into software systems. Today the shift is to understand and act on the available information to improve the business decisions. In todayâ€™s business environment the flood of information and the complexity of interaction across business units taxes the human ability to make anymore than a best guess instead of a well informed decision. This shift in focus is well documented by the shift in spending by businesses and the shift in strategies by software vendors. I will share my thoughts and observations about the current market and technology shifts around business analytic solutions. As well as discussing the response I believe needs to occur in research and education in Computer Science. Keith Collins, Senior Vice President and Chief Technology Officer (CTO) at SAS, is responsible for driving corporate technology strategy through a focus on customer- and partner-facing activities. Collins fosters close working relationships with marketing and sales to ensure that SASÂ® technologies are aligned with customer needs and market demand. He has been instrumental in leading SAS' evolution as a provider of industry-specific solutions that deliver the benefits of powerful analytic technologies into the hands of users. Collins led the effort to develop the company's breakthrough SAS Business Analytics Framework that is redefining business intelligence as it is known today. He is responsible for the daily operations of Research & Development and he oversees Information Services and Technical Support. 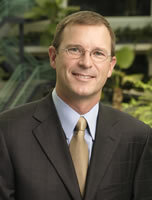 In 2006, Collins established SAS' CIO Customer Advisory Board (CAB). The CAB was created to bring together CIOs and CTOs from some of the world's top companies to provide guidance to SAS about the companyâ€™s strategy and the business impact of current and future IT technologies. A graduate of North Carolina State University with a bachelor's degree in computer science, Collins is a devoted supporter of the university. He is the founding member of the strategic advisory board of the department of computer science. In 2003, the university named him a Distinguished Engineering Alumnus. Collins also serves as a technical advisor for Southern Capitol Ventures and holds seats on North Carolina Technology Association's Board of Directors, the North Carolina School of Science and Mathematics and the North Carolina Museum of Natural Sciences.